Origins of the Nxt Foundation…. One of the great strengths of Nxt, and of the wider Nxt community, is that it has always been intended, from the initial Nxt concept onwards, that Nxt would be a strongly decentralised community. A decentralised organisation may be fine for certain applications (such as an activist movement) but for a software system that needs to interface with the wider business community, how can decentralisation work effectively ? Nxt is a brilliant system to build business applications on, but how does a business get in touch with a decentralised movement like the Nxt community? How does a business enter into a legal agreement with Nxt, or receive support? How can Nxt be promoted to businesses, or carry out PR ? The answers to all of the above led to the set-up of the Nxt Foundation, which (if we go back to the ‘Starfish’ analogy) can be seen as a specialised organ for Nxt, like an extra leg for the starfish. The Foundation was created to act as a sub-section of the Nxt eco-system that is responsible for linking the decentralised, open-source community of Nxt with the very much centralised mainstream business and finance world. In effect acting as a gateway between the decentralised crypto world and the centralised mainstream worlds of business, finance and governance. The Foundation was initially (informally) set up in mid 2014, by a group of veterans of the fledgling Nxt community. The main personnel involved are: Tai ‘Tai Zen’ Duong, David ‘EvilDave’ Pearce, Bas ‘Damelon’ Wisselink, Dirk ‘LocoMB’ Reuter and Ian ‘Chanc3r’ Ravenscroft. As befits a decentralised orgainisation, the initial founding members represented a wide range of viewpoints and possessed a very wide range of skills. This group first met in real life as representatives for Nxt at the groundbreaking BitCoin2014 conference, held in Amsterdam, and worked so well together that they decided to carry on under the then informal banner of the Nxt Foundation. Initially simply a loose group intended as a contact point for businesses, the Nxt Foundation proved themselves to be very useful to Nxt, and began to evolve into a fully fledged business unit with wider ranging responsibilities. The Foundation was registered and incorporated at the start of 2015 as a non-profit business in the Netherlands, under the title of ‘Stichting Nxt/Nxt Foundation’ with the goal of supporting Nxt development and expansion. Since then, the Nxt Foundation has continued to function as a contact point for businesses who wish to work with Nxt , and has also taken on other responsibilities: the purchase and maintenance of essential software, such as SSL and code signing certificates, developer licenses and hosting for Nxt-core related sites. Most recently, the Foundation identified some areas that needed to be improved within Nxt, and set up the Tennessee project to address those areas. Towards mid-2015, it became increasingly obvious that Nxt needed to change to meet the demands of a rapidly changing crypto-currency market: many mainstream players were entering the market, bringing with them from the mainstream business/finance world a more professional approach to project management and a much more aggressive approach to PR and marketing. A decentralised (and somewhat under-funded) project that relied on volunteer work, like Nxt, could not compete on an equal footing with the professional marketing and PR employed by this new wave of crypto projects. Individual projects based on Nxt, usually with a defined project leader or a small group of leaders, could easily choose for themselves whether or not to follow this trend, or how to respond to the changes in the market, but for the Nxt core (and the wider Nxt community) a solution had to be found to address this situation. Thus the Tennessee project was proposed: the Nxt Foundation analysed and explained the current market situation to the community, and asked them to donate to a Foundation- administered fund set up purely to professionalise and improve two basic elements of the Nxt core project: Marketing/PR and the user experience. The estimated budget to run Tennessee for a year (on the basis of two part-time employees) was approximately $70,000 or 10 million NXT. This sum was raised via crowdfunding (using the Nxt Monetary System) inside 2 weeks, and Tennessee went live at the start of November 2015. Organised salary payouts for the 2 main (part-time) Tennessee personnel for the following 12 months, ensuring that there will be a coherent marketing/PR presence for Nxt over that time. Hired a media contact consultant, the UK-based John Mcleod, on a contract basis, initially for 3 months with the possibility to extend that period. John’s function is to pro-actively seek out and cultivate both mainstream and crypto media contacts for Tennessee and Nxt. These three pieces are just the start of the media campaign. 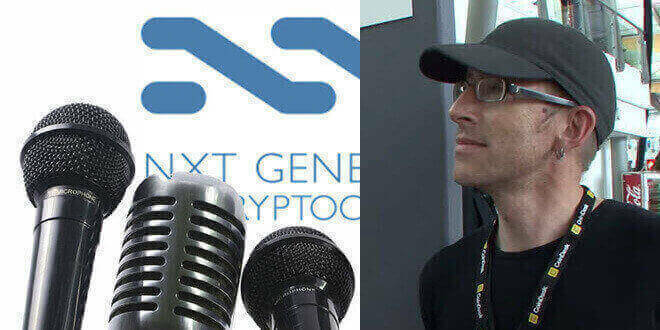 TNSSE allows Nxt to build up longer term relationships with media outlets, and these relationships will lead to more regular information about Nxt appearing in crypto (and more mainstream) media. Tennessee has also began the process of overhauling the Nxt web presence, with www.nxt.org as the first site to be updated, using Farla Webmedia as an external contractor. An important feature of the new www.nxt.org site will be an easy to use helpdesk system, which will give Nxt a unique advantage over other crypto-currency projects. So, coming back to the original question: how does a decentralised community promote itself to the outside world ? Nxt has shown, with the creation of the Nxt Foundation and subsequently the Tennessee project, that organically created specialised systems can be set up to fulfil this specific function, without sacrificing any of the openness and decentralisation that give the Nxt community a great degree of both flexibility and strength.